Because the potential for flooding along the Santa Paula Creek channel is considered life threatening, the USACE began construction of the flood control channel at Santa Paula Creek in June 1997. The project included removal of the existing channel and the creation of a new channel to increase channel capacity. It was determined that as a result of the dynamic nature of the Santa Paula Creek system a clean out of the channel would need to occur after major flood events or when channel capacity had been reduced to potentially threatening levels. A clean out of the channel was conducted from November 2009 to January 2010. As part of the project, Aspen presented a Worker Environmental Aware­ness Program to all project personnel, per­formed compli­ance monitoring, con­ducted pre-construction bio­log­i­cal surveys, and was responsible for aquatic species relocation efforts during water diversion activities. This included relocation of the federally endangered, south­ern California distinct population seg­ment of steelhead trout (Onchorhyn­chus mykiss). Aspen will be monitoring conditions in the channel through 2014. Upon completion of the sediment removal activities, Aspen implemented a plan to harvest and store willow and mulefat cuttings taken from pre-designated areas along the Santa Clara River. 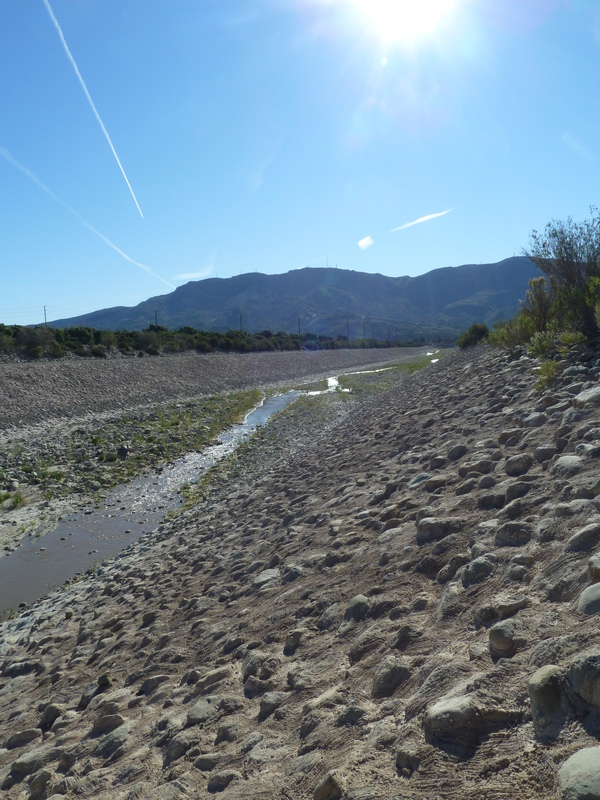 Cuttings were planted along both sides of the low-flow channel of Santa Paula Creek from the confluence with the Santa Clara River upstream to just downstream the fish ladder.